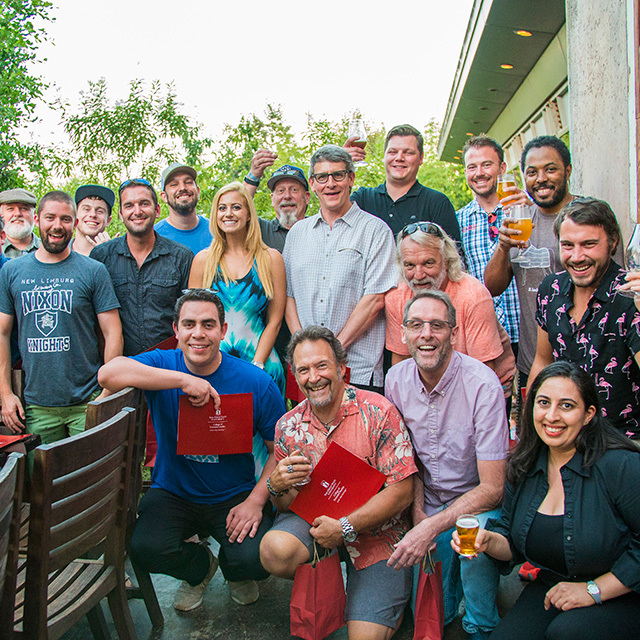 Now in its third year, San Diego State University’s Brewery Start-Up Camp consistently gets rave reviews from craft beer aficionados who come from around the world to experience the nine-day version of SDSU’s popular Business of Craft Beer program. This year’s Brewery Start-Up Camp is August 17–25, offering campers eight days of intensive instruction covering everything you need to know to launch a brewery, and one free day to explore San Diego. Topics include location, trends, finance, legal aspects, marketing, draught systems, ingredients and purchasing, tasting room management, and distribution. Courses are held at SDSU and local breweries, and taught by the same local craft-beer experts who teach in SDSU’s renowned two-year program — Dave Adams, Matthew Johnson, Chad Heath, Michael Peacock, and Candace Moon. The $1,795 tuition includes 55 hours of instruction, a welcome reception, two meals at local breweries, loads o’ tasty craft beer samples, shuttles to off-site classes and events, transit passes to get to class and explore San Diego, and discounted rates at several nearby hotels. Craft beer campers also get a certificate of completion. The deadline to register is Monday, July 16. To learn more, visit neverstoplearning.net/beercamp.